The Rackhouse. 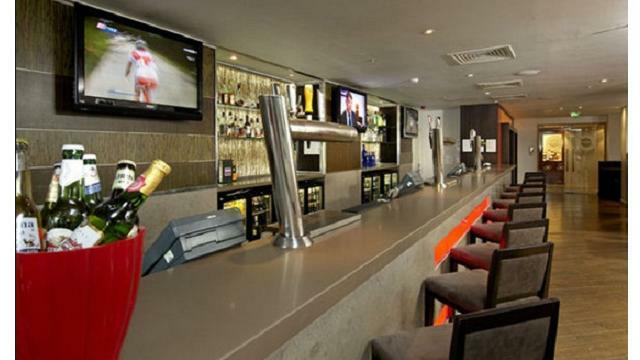 Image courtesy of Hilton London Metropole. A great place to catch a game or two, The Rackhouse at Hilton London Metropole has a number of large screens showing international sports. Choose from the range of beers, wines, cocktails and soft drinks and tuck into southern American-style snacks, burgers, desserts and sharing plates. Is The Rackhouse your business?